DividendMax»Company Coverage»Country:United Kingdom»Exchange:London Stock Exchange»Sector:Retailers»Company:JD Sports Fashion plc. JD Sports Fashion Plc has long been established as the leading UK specialist multiple retailer of fashionable branded and own brand sports and casual wear, principally through the growth of its main retail fascia, JD Sports. The JD Group now has well over 900 stores covering both sports and branded fashion but it all started when John David Sports was founded in 1981 with one shop in Bury. 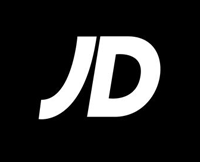 JD operates in both the UK and Republic of Ireland and, through Chausport, in France. JD Sports Fashion plc has been 57% owned by Pentland Group plc since mid 2005, a group whose principal interests are in sports and fashion brands, such as Lacoste and Speedo. JD Sports Fashion Plc (the "Group"), the leading retailer and distributor of branded sportswear, fashionwear and outdoor clothing and equipment today announces its Preliminary Results for the 53 weeks ended 2 February 2013. This week, we are going to take a look at the retail sector, including the food retailers. The first list is far too long with 40 initial candidates so we will start to apply the DividendMax filters to reduce the size of the list.